The magnetic power here can be experienced by switching off the vehicle at a certain spot here. You will notice the vehicle moving up the hill in no time at a speed of about 20 km/hr. 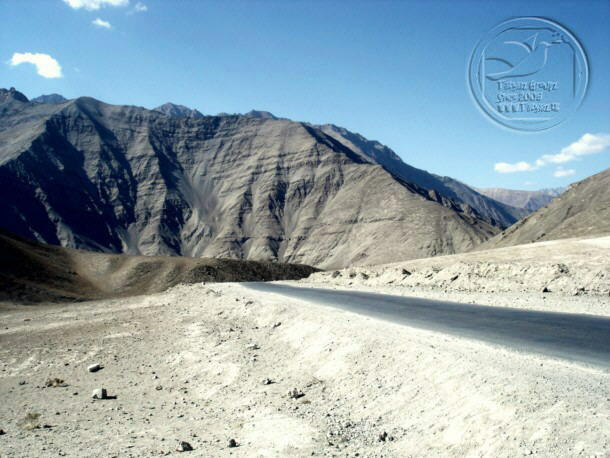 The experience is also termed as Himalayan wonder and is a must if you happen to venture into the Himalayan territory of this part of the world. Even while flying around this region, one can feel the pull of magnetic field. As reported by the local people and Indo Tibetan Border Police (ITBP), when the helicopters and aircrafts come with in the radius of this hill, they start to jerk. To avoid accidents, the fliers are advised to fly at specific speed and height. The area has become a popular sight seeing place also because of the sikh Gurudwara near the hill which is maintained by the Indian Army. 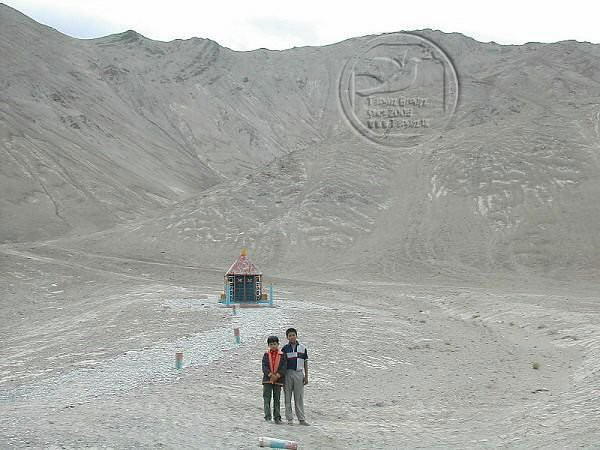 Guru Nanak Dev, the first of the ten Gurus of Sikhism had meditated near this hill in the 17th century. 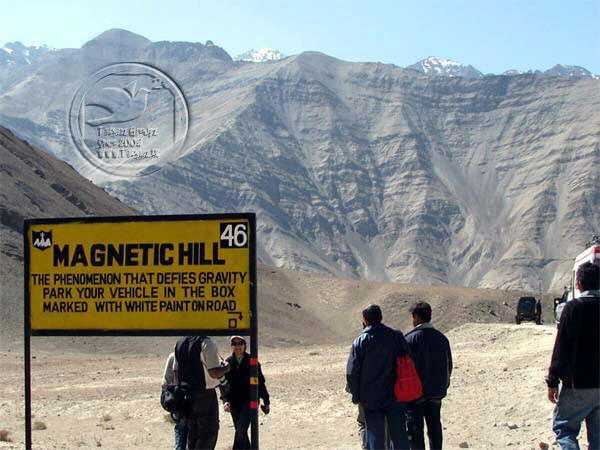 The Magnetic wonder combined with religious sentiments makes this place a must visit while travelling to Ladakh. 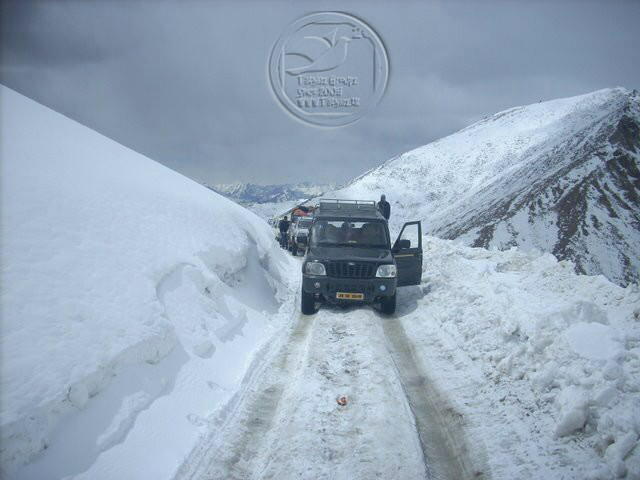 People come to this Himalayan terrain for the sheer adventure and rush of adrenalin for this mountain beauty is more rugged than you would have thought. 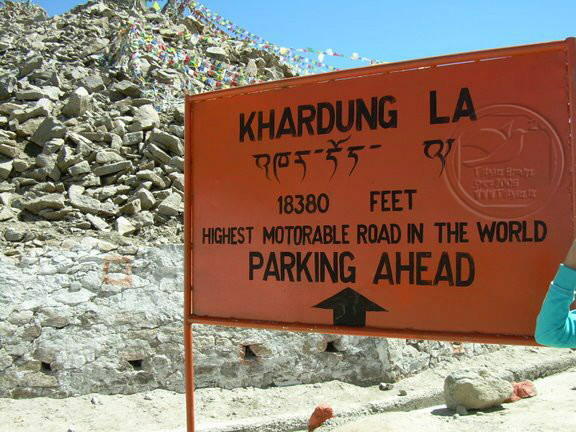 Khardung La, a region in Ladakh is the highest motorable road in the world. Once you reach here, you fell on top of the world. Literally!